One of the best ways to learn about vehicle safety is through analyzing statistics. Luckily, the Texas Department of Transportation compiles them for us and provides a yearly report. The following points are the most crucial findings from the 2017 edition. Each of them comes with its own safe driving lesson, which we will explain in detail. Though that number might not look massive, it gets more significant as you lessen your time interval. At its lowest point, you find that a fatality takes place every two and a half hours in Texas. That is too often. The next fatality could be you. Understanding this truth should motivate you to adopt safe habits and reduce your chances of getting into a fatal crash. One more fact that will hammer home the importance of safe driving is that there was not a single deathless day in all of 2017. This means that all 365 days of the year a traffic accident in Texas took at least one life. That kind of ruthless consistency is what we’re dealing with on the roads of Texas. What makes this statistic so shocking is the word “severe.” The definition that the Texas Department of Transportation uses for this term is an injury that prevents a person from walking, driving, continuing their normal day to day lives. What this means is that 17,546 people sustained injuries that were bad enough to profoundly impact their lives. If you factor in all injured persons, no matter how severe the injuries were, this number rises to 285,853. This second piece of data is perhaps even more astounding than the first. One thought that you might have is that rural areas should be safer than cities. The reasoning is that metropolitan are congested and prone to accidents, while the rest of the state is not. Though this idea makes sense logically, the data does not hold up. Instead, rural areas accounted for 52.4% of the state’s fatalities. What this statistic means is that you aren’t safe on any of the roads in Texas. When you picture a car accident, you probably imagine two or more vehicles involved. What you might not know is that roughly one-third of 2017 accidents involved only one driver. The reason is that people frequently drive off the road and collide with objects on the side of it. The two most common causes of this accident type are alcohol and fatigue. What you can take from Texas car accident statistics is simple. Wear your seatbelt every time you drive, no matter what. This essential piece of safety equipment is crucial in saving your life from severe crashes. To fully grasp the gravity of this statistic, think about the percentage of drivers that are drunk at any given time. What number do you come up with? The likely sum is somewhere around five or ten percent. Next, look at that number compared to the percent of fatal crashes. What you’ll find is that drunk drivers are significantly less safe than those who are sober. Your best course of action after understanding this fact is to never drive drunk and to encourage others to do the same. We hope these pieces of data help you put driving into perspective. The truth is that while we do it every day, navigating the roads is one of the most dangerous activities we engage in. 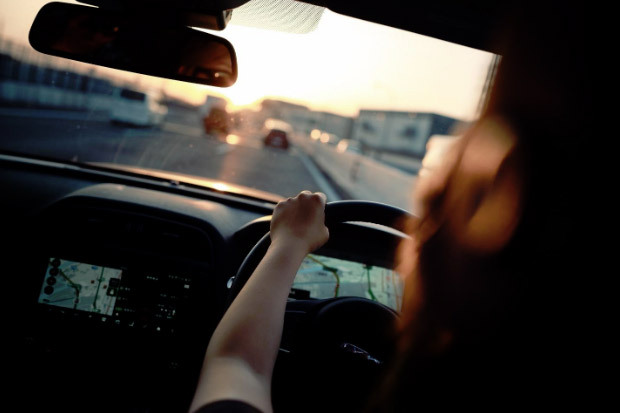 While that fact doesn’t mean that you should stop driving altogether, you may want to brush up on your safety education and tweak a few habits. Doing so will make Texas much safer for you, your loved ones, and everyone else on the roads.